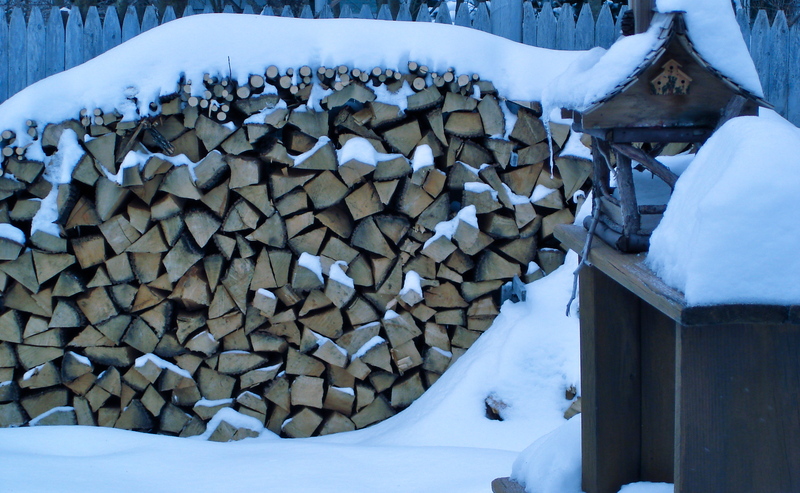 It delights me to look out and see the next year’s firewood, topped with a heavy blanket of this year’s snow. It reminds me of home-made preserves, sealed for next year under that thick layer of opaque paraffin wax. This morning the indoor temps were about the lowest we’ve seen this season: 43º in the kitchen, 45º in the bedroom, 37º in the coldest recess of the cellar. Tonight there is a forecast for lows in the -5 to -15ºF range. Seems like we’re bottoming out here. Needless to say, we’ve got a little bit of fire going this morning. This entry was posted on January 23, 2011 at 8:52 am and is filed under Uncategorized. You can follow any responses to this entry through the RSS 2.0 feed. You can leave a response, or trackback from your own site.